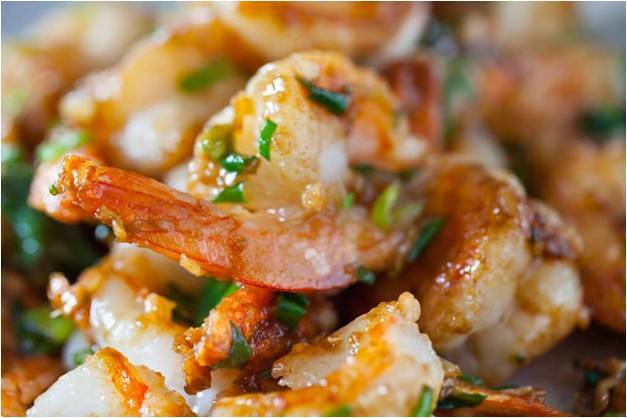 Give our Orange Ginger Shrimp recipe a try! Cook onion in orange juice until translucent. Add garlic, onion and ginger powder to juice. Mix all ingredients on low. Orange juice will evaporate quickly if on high. Add shrimp, turning often to make sure sauce is coating shrimp. Add 1/4 I Can't Believe It's Not Butter at end of cooking for a creamy sauce. Serve with your favorite vegetables.